Itâs the foundation of all that we do at School of Rock - Led Zeppelin, AC/DC, Heart, Hendrix, Clapton, Queen, Janis Joplin, and more. Skill level: Advanced Beginner and up. Ages 10 and up. Play the music that RULES the school! 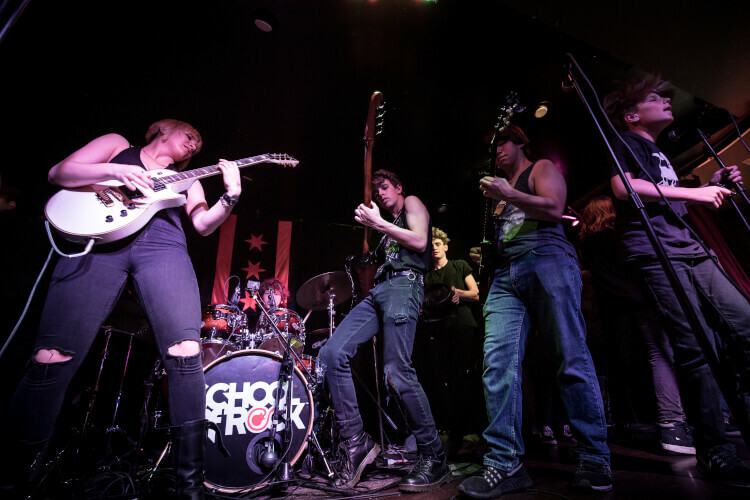 It’s the foundation of all that we do at School of Rock - Led Zeppelin, AC/DC, Heart, Hendrix, Clapton, Queen, Janis Joplin, and more! This camp will serve as a primer for the music that inspires us to keep making new music! Learn musical concepts, theory, skills, and the basics of great songwriting by PLAYING the masters! How to manage your gear, work with other players, and understand classic song structure are a big part of camp. The setlist will be a hit parade of some of the most enduring songs in rock history.